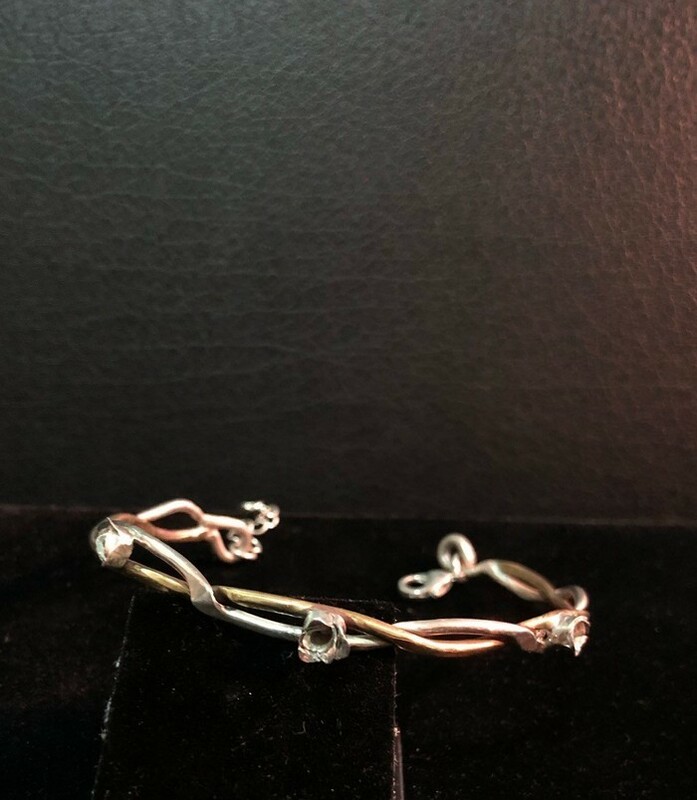 I made this bracelet from silver and brass, twisted together. 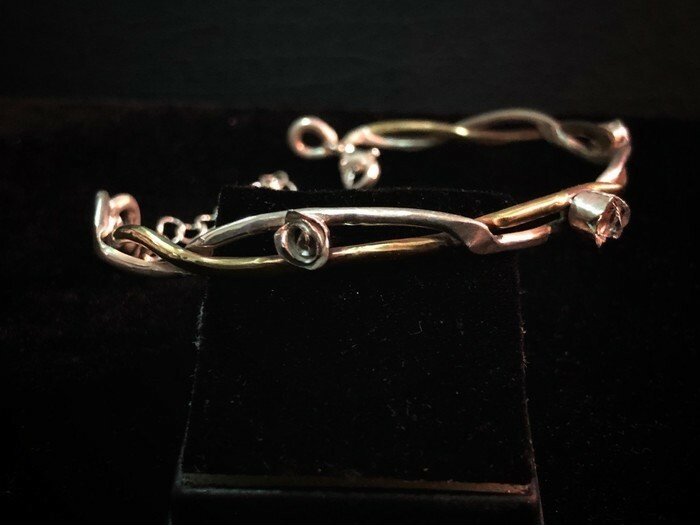 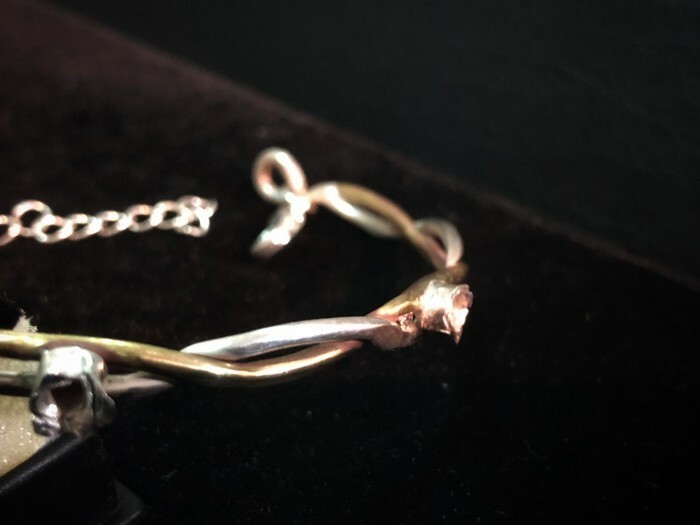 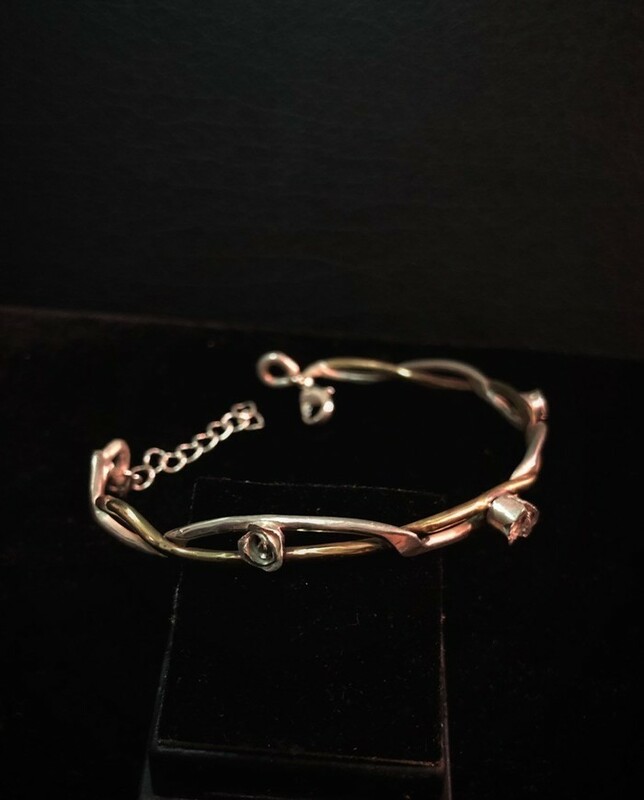 I made the roses from fine silver and the chain from sterling. 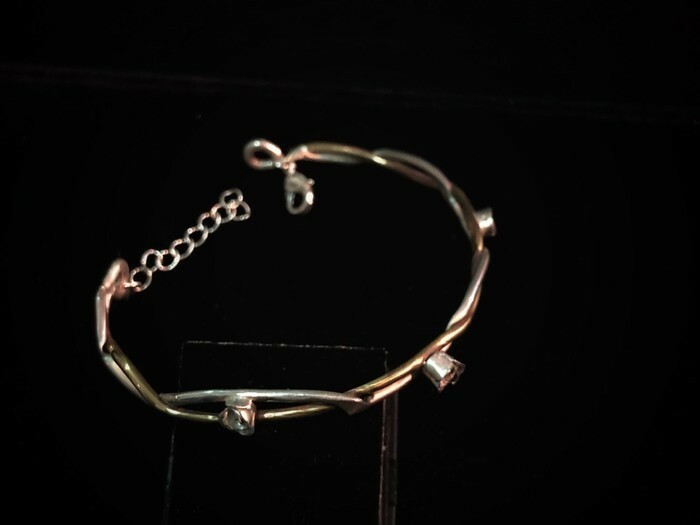 It’s an 18cm bracelet with chain.